You MUST send me (Falloutperson416) a PM requesting editing/uploading access to the mod. Lots lots more. You'll see when V11 comes around. [size="5"]Almost a year ago, I pre - ordered Fallout: New Vegas in hopes that I would be purchasing the best game for years to come. When I set foot on the Strip that faithful night, I was uterly dissapointed. The roads... well, they had been butchered and ripped apart. The ground was bieng used a personal toilet, and the buildings didn't surprise me when I saw holes in the walls and stains on the ceilings. That is why the NVR Team is working very hard to bring you a Strip that we all expected. - Removed The Strip Open requirement. 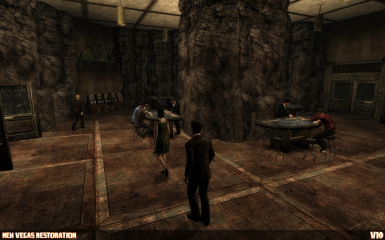 - Adds the Grand Millenium casino to the Strip. 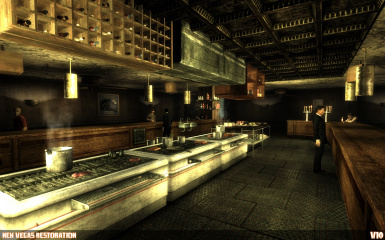 - Makes Sierra Madre On The Strip compatible with NVR. - Adds a new North gate. - Adds new messages to the loading screens. 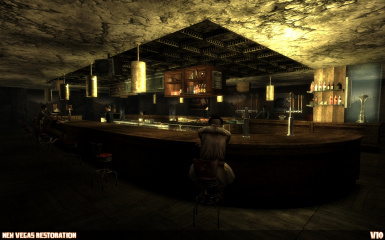 - Adds a sturdy interior and exterior wall to the Strip in place of those old and busted scrap walls. 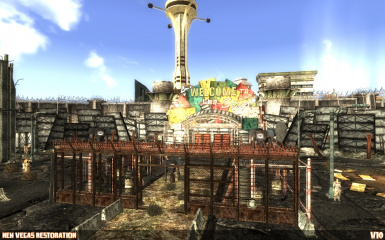 - Changes the Strip enterance in Freeside, so security and style will be present. 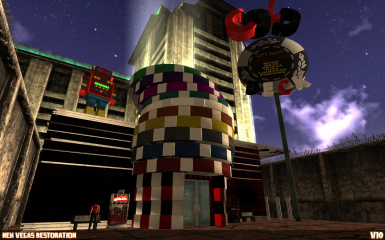 - Adds a new enterance to the south wall of the Strip. 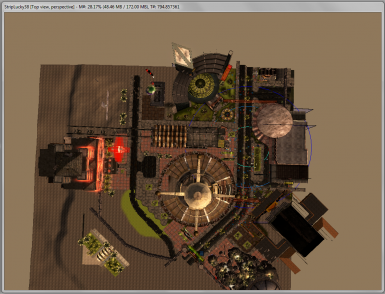 - Removes the destroyed catwalk. 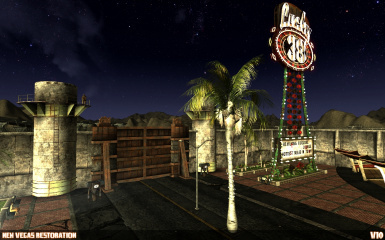 - Added a visable Las Vegas Welcome sign to the rear of the Strip. - Adds more plants to the dirt areas around The TOPS. - Removes trash, car hulks, repairs buildings and streets. - Adds fix for the removed interior gates. - Adds a paved area next to The TOPS. - Makes the static doors on the left of The TOPS useable. 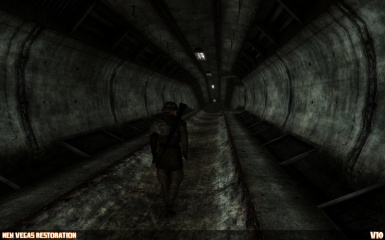 - Adds an entirely new sewer system under the Strip, accesable via the manhole covers. - Many more changes around the Strip. See for yourself after you download! [size="5"]Every area on the Strip has had attention, even the places that you don't see when you're walking by. 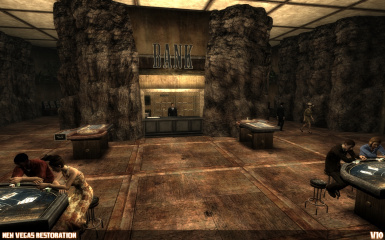 Infact, if you enter the Strip, you will automaticly see a dfference right beneath your feet. The roads are no longer cracked and destroyed. With Version 10, this mod is so much more than just a "Cleanup" because so many new things are added as well. - The Strip as a whole. - Removed loose papers, trash, etc. 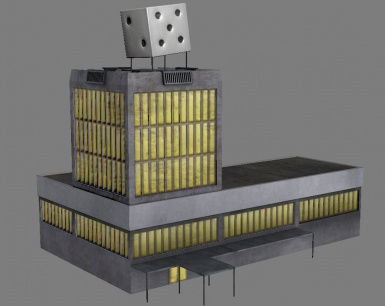 - Fixed casinos and buildings. - Fixed a few known bugs. - Changes a few things here and there around the Strip. - Fixes the only bug version 6 contained. 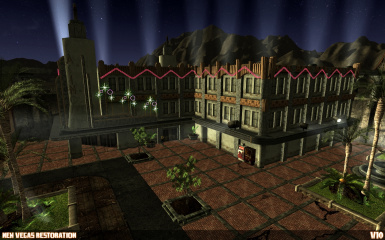 - Adds an entirely new sewer system under the Strip. 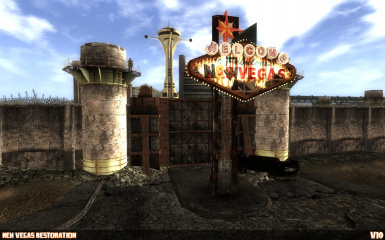 - Removes the gated walls inside the Strip. This file required The Strip Open, later versions do not. 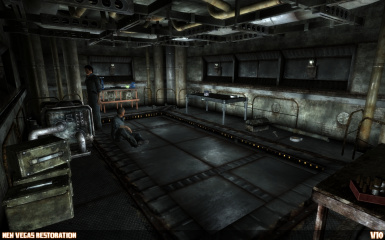 - Improves the sewer system. 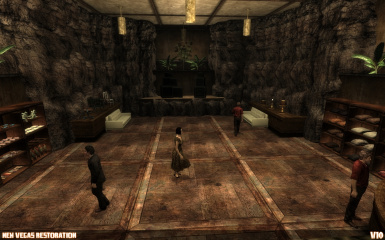 - Adds sturdy interior and exterior stone walls to the Strip. The new Lucky 38 model Version 10 adds will fix the see - through parts of the Lucky 38 introduced in Version 10, because of the larger Strip. Thanks to my old friend Ez0n3 for the help! 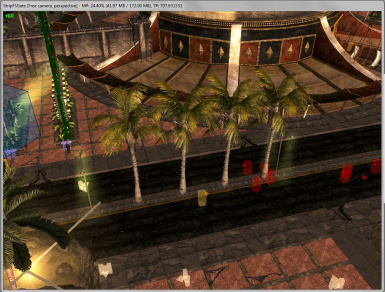 - Removes the planter added by ELECTRO-CITY, and makes the South gate accesable again. - Removes other small conflictions added by ELECTRO-CITY. 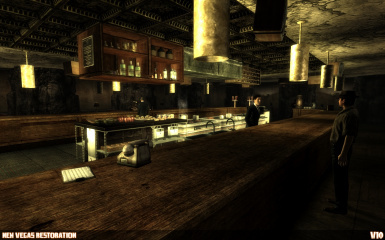 - Removes the booth inside the Strip, which was conflicting with NVR. - Makes NVR and S.M.O.T.S. compatible. [size="5"]1. [Q][/size] When are the LOD's going to be removed? 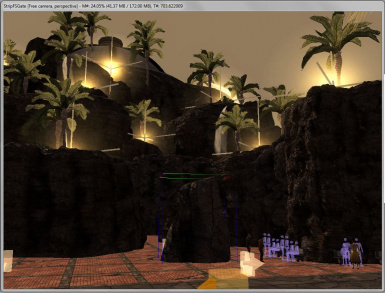 [size="5"][A][/size] Blank LOD files will be included in either Version 11 or later. [size="5"]2. [Q][/size] My game is crashing on startup! Please help! 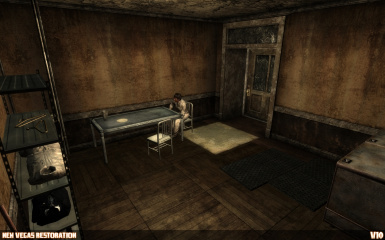 [size="5"][A][/size] Please view the Install/Uninstall section on this mod page. The specific install instructions have been listed, and following these instructions will solve all crashing issues. [size="5"]3. 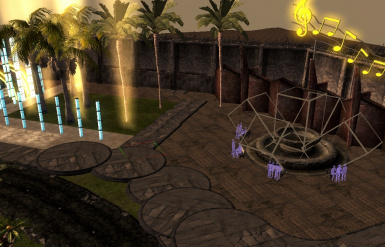 [Q][/size] When is the Grand Millennium casino going to be released? 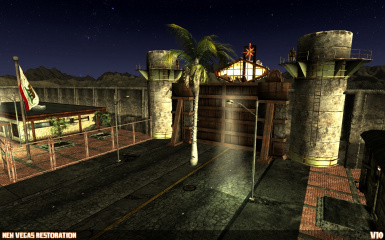 [size="5"][A][/size] Version 10 contains the Grand Millenium casino. [size="5"]4. [Q][/size] Why are NPC's missing?! That is caused by the gate scripts not being used since the gates are gone, thus not enabling them. 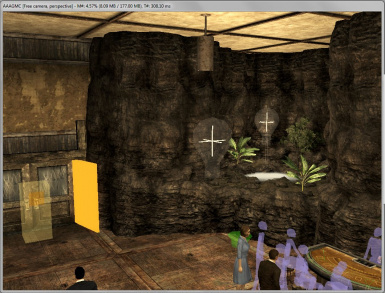 That NPC should now be standing in front of you, completely working and normal. Best if you do this in there original place though. There are no known bugs right now. If you do find a bug, please report it in the comments section so I can fix it. 1. Download the 7zip file. This folder path may be different for some people, but if you are using Windows 7 your folder path should match this one. 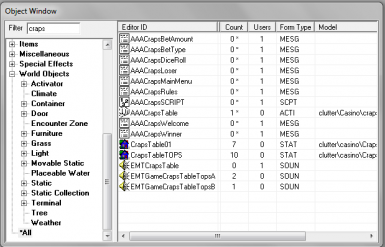 [size="5"]This load order arangement is used to prevent as many conflicts as possible. 3. If you are prompted to merge the folders, do so. 1. Delete the files in FOMM/Remove all NVR files from your data folder. But, you would NEVER want to uninstall, right? 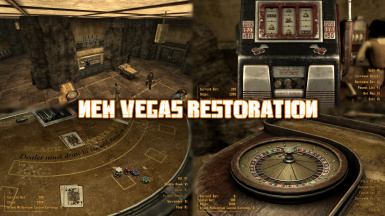 [size="5"]New Vegas Restoration - NVR belongs to me (Falloutperson416) and cannot be edited/uploaded without my permmision. If you do want to edit/upload this mod, please contact me with a PM. 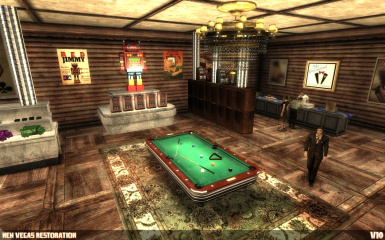 - NVR won FIRST place in the File of the Month contest for June! Thank you all so much! - I give kudos to those who upload pictures! - NPC manipulation is never an easy task.